Here they are, TechCentral’s South African Newsmakers of 2013. These are the individuals, in ascending order from five to one, who we believe were the most newsworthy in the technology and telecommunications space this year, for good reasons and bad. Also, check out our International Newsmakers of 2013 list, which we published last week. The controversial acting chief operating officer of the SABC and its chief proponent of “sunshine news”, Hlaudi Motsoeneng, spent much of 2013 in the headlines. Motsoeneng, who insiders say holds the reins of power at the public broadcaster, wants its news bulletins to contain 70% positive news. 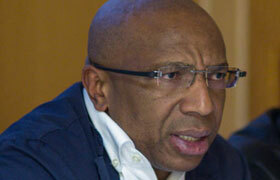 He wants that written into the SABC’s editorial policies. 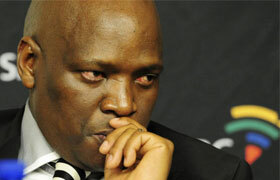 Positive news coverage wasn’t the only thing exercising Motsoeneng’s mind this year. He also inked a contentious deal with MultiChoice, which, among other things, prevents the SABC from carrying any of its free-to-air broadcasts over any terrestrial digital broadcasting system that uses an encryption system that uses conditional access. The controversial figure behind South Africa’s newest television news network, African News Network 7 (ANN7), has rarely been out of the headlines this year. Atul Gupta, who emigrated from India to South Africa in 1993, and who is reportedly — along with brothers Ajay and Rajesh — closely connected to president Jacob Zuma and other political figures, appears to be reinventing himself as something of a media mogul. The brains behind Sahara Holdings, the Gupta family’s IT business which owns Sahara Computers, Gupta spearheaded the launch of in 2010 of The New Age newspaper and this year of ANN7. Unlike the SABC, which has been given more than R500m by MultiChoice to supply a 24-hour news channel (along with a 24-hour entertainment channel that is yet to materialise), ANN7 is not getting a cent from the DStv operator. Perhaps it’s a lack of capital, then, that resulted in the news channel using anchors who clearly weren’t ready or properly trained for the job. Their endless stream of bloopers — partly the result of problems with teleprompters and other technical glitches — ended up all over YouTube and Vimeo, prompting ANN7 management to have them removed. Running Telkom is far from the easiest job in corporate South Africa, but Telkom’s new group CEO has got off to a good start. That’s reflected in the share price, which has doubled since Sipho Maseko, a former group chief operating officer at Vodacom, took the hot seat from Nombulelo Moholi. Maseko has quickly got a handle on the big challenges he needs to deal with. He’s been smart in settling some longstanding issues, such as with the competition authorities over past anticompetitive behaviour, and in engaging proactively with the Independent Communications Authority of South Africa. He’s also placated the trade unions. But the big decisions are still ahead, among them figuring out what to do with its loss-making mobile unit (it’s said to be in talks with MTN about some sort of deal), arresting the decline in the number of fixed lines in service, growing its broadband base and moving up the value chain in IT services. Unlike TechCentral’s top newsmaker for this year (see below), Yunus Carrim has been in the headlines mostly for the right reasons. The communications minister, who took the reins this year from Dina Pule, has proved to be the most effective person in the long-neglected portfolio since Jay Naidoo in the mid-1990s. In his short time in office, Carrim has presented a (much improved) final broadband plan and strategy to government and made a decision, albeit controversial, on the use of conditional access in government-subsidised set-top boxes for digital terrestrial television. He also appears to have the long-running internecine warfare between top officials in the department of communications under control. He has shown an energy and a willingness to engage that has long been missing in the communications portfolio. There is plenty, of course, that still needs to be done, including fixing the damage inflicted on the department by a string of rotten ministers. Former communications minister Dina Pule makes our South African newsmaker of the year for 2013 and, as we intimated above, she does so for all the wrong reasons. President Jacob Zuma fired the feckless Pule in July after a series of articles published by the Sunday Times implicated her in nepotism and corrupt behaviour with her boyfriend, businessman Phosane Mngqibisa. 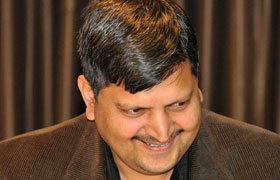 There was no reason given as to why Pule was fired and was replaced by Yunus Carrim. 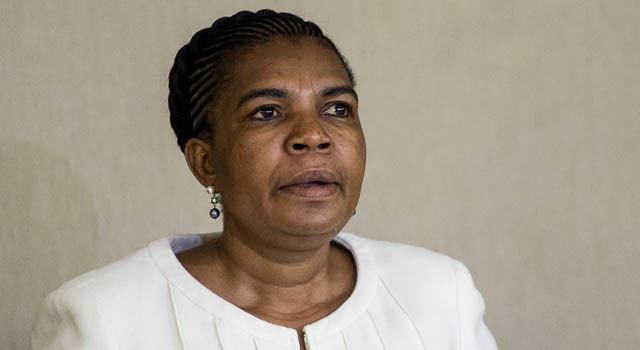 Pule was subsequently investigated by parliament’s committee on ethics and members’ interests and, in a damning report presented by committee chair Ben Turok, was found guilty of violating the executive members’ ethics code for failing to disclose her relationship with Mngqibisa. She was fined the equivalent of a month’s salary and suspended for 15 days from all parliamentary committees. Those were the maximum sentences that could be imposed. 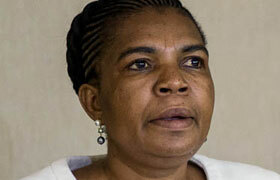 She also issued a half-hearted apology, at best, in the national assembly. Public protector Thuli Madonsela has ordered Pule to apologise to the Sunday Times, the department of communications and parliament for “persistently lying and unethical conduct” in relation to the ICT Indaba held in July last year. 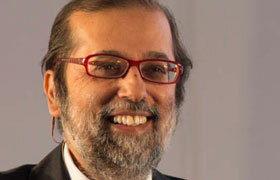 Previous ArticleIS, MWeb merger on the cards?